Comment: The home was built in 1862. There have been many improvements and an addition. It is on 3 acres with several a few outbuildings , I am most concerned about a leaking cellar basement, wiring and general foundation. Comment: Want home inspected to determine what areas may need repair in order to place home for sale within approximately two years. Comment: Would like an energy audit of a ranch with 2400 square feet finished on the main floor and 1600 square feet in the basement. Comment: We are refinancing our home. Need a "Wood destroying organism" inspection and report. Comment: Weâre interested in replacing our attic insulation, having a home blower test, having the discovered leaks sealed, and we are interested in replacing our 21 year old 85% gas furnace with geothermal heating. O Fallon Home Inspectors are rated 4.91 out of 5 based on 58 reviews of 2 pros. 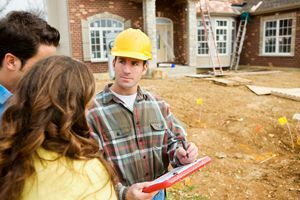 Not Looking for Home Inspection Contractors in O Fallon, IL?